Many if not most of the individuals that are starting out on the path of promoting their online business have a very limited budget. While a few individuals have access to a substantial promotion or advertising budget, they are indeed the fortunate minority in my experience. The good news is that you do not have to have deep pockets to promote your web business on the internet. In this particular respect the world wide web is a relatively level playing field, at least compared with traditional media outlets. Furthermore, it is my opinion that if you are just starting out, it is a good idea to focus on organic promotion methods on the internet anyway. 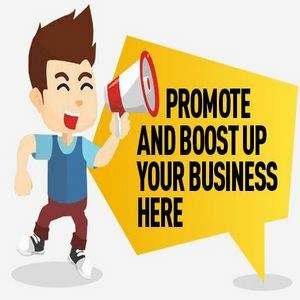 The reason is that if you just throw money at the problem of promotion without some knowledge of how the internet advertising world really works, you will quite possibly fall into one of the many pitfalls that are waiting for you in this arena. I know I did in the beginning. As the old saying goes, a fool and his money are soon parted. So start small and spend more money as your experience level increases. As a start, I strongly suggest that you read the book by Jay Conrad Levinson entitled 'Online Guerrila Marketing Techniques'. It goes into much more detail than is possible within the scope of this article. It is must read for online 'netpreneurs' as he calls them. He spends a lot of time on each and every individual step of the process and makes many crucial distinctions. Assuming your website is already functional and that it has the optimal words and phrases you wish to be found under, you can then begin the ardous but satisfying process of promoting it on the web. The idea of course is that the more eyeballs see your website, the better. There are many ways to do this, luckily, but it makes sense to start with the those methods which take the longest and then proceed from there. That is the reason that I prefer to begin my promotion efforts by submitting my website to the relevant web directories. This is because and it can literally can take weeks or even months to be approved in some web directories, particularly the very prestigious ones such as the DMOZ or Open Directory Project. Make sure to navigate to the correct category before submitting, of course. The great thing about directories is it will increase your inbound links and you will never have to submit your website to the search engines if you are listed on several web directory sites. The search engine 'Robots' will automatically spider and index your site if you are listed on any established web directory. Next you will want to write an article pertaining to the content of your website, and then submit that article, along with your website URL in the byline, to the major article directories such as Ezinearticles and Article City. Whoever uses your article as content on their website or ezine must have a direct link back to your site. What is wonderful about this method is the viral marketing aspect of it. In other words, if you write a good article it will continually used by webmaster for months and even years later, continually promoting your site on an ongoing basis long after you submitted the article. Next you will want to join some discussion forums which feature subject matter that is similar to your website's theme. So, for example if you run a real estate and investing website you will want to join a forum or message board related to these topics or something similar. These boards will generally allow you to have a signature or 'sig line' in which you can put your website address as well as a catch phrase so people will want to click on it. Then just be a part of the discussion normally and you will promote your online business as you do. The same goes for newsgroups or the usenet. These are just different types of discussion forums. You may then proceed on to the free classified type websites. The biggest is the San Francisco based craigslist.org but there are actually many to choose from. Just type in those words in your favorite search engine and hundreds will come up. Choose the ones at the top as they are generally the most popular. I also recommend ezine advertisements because you can usually find your site's specific niche. There are ezines about health, finance, sports,technology and almost any other topic you can think of. You can find lists at places like Topica and Bpubs. This is inexpensive advertisement, for the most part. Then and only then would I proceed on to the more costly online advertising such as pay per click and banner advertisements. By this time you will have a good feel for what works and what does not, which will save you a lot of money. If you are not careful, online marketing can become a money pit real fast so stick to the basics and implement a true guerrilla marketing campaign augmented by some paid advertising. After you do some testing and find out which type is bringing in the highest quality traffic you will know where to focus.